1986 Lotus Legend (24" CTC) in NJ. 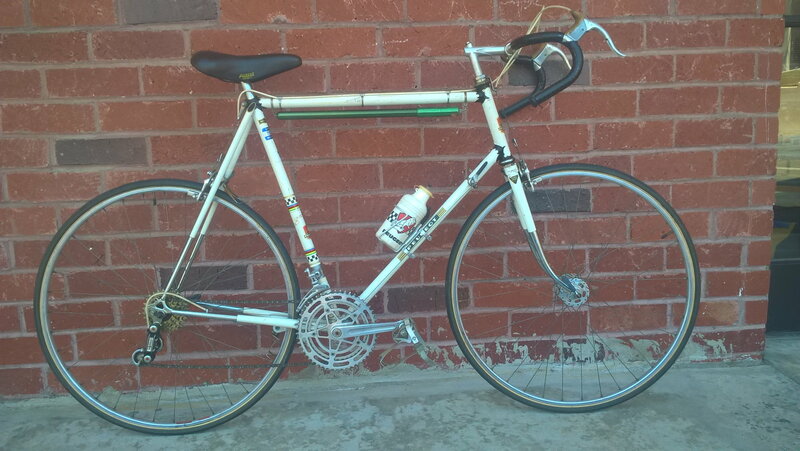 Tange 1, Sprint 9000 group, Nitto bars/stem. 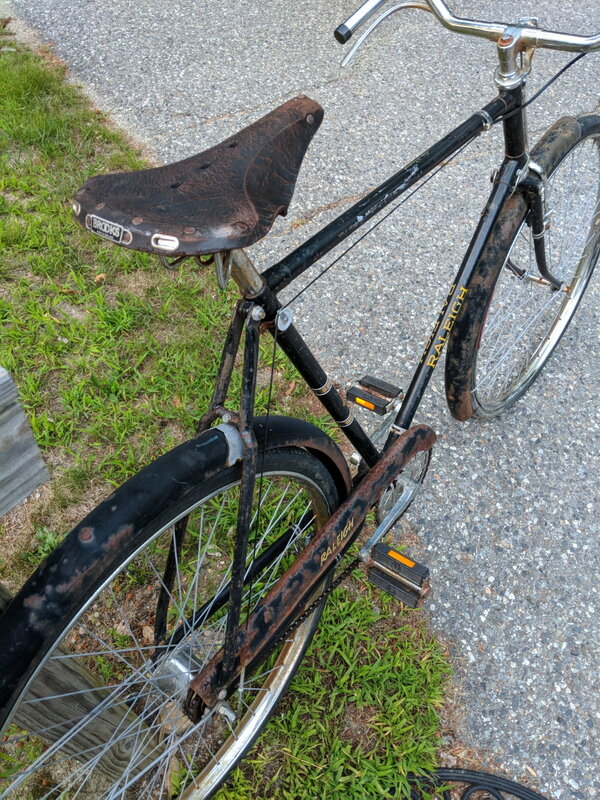 Has some paint loss but it looks to be a completely chromed frame. 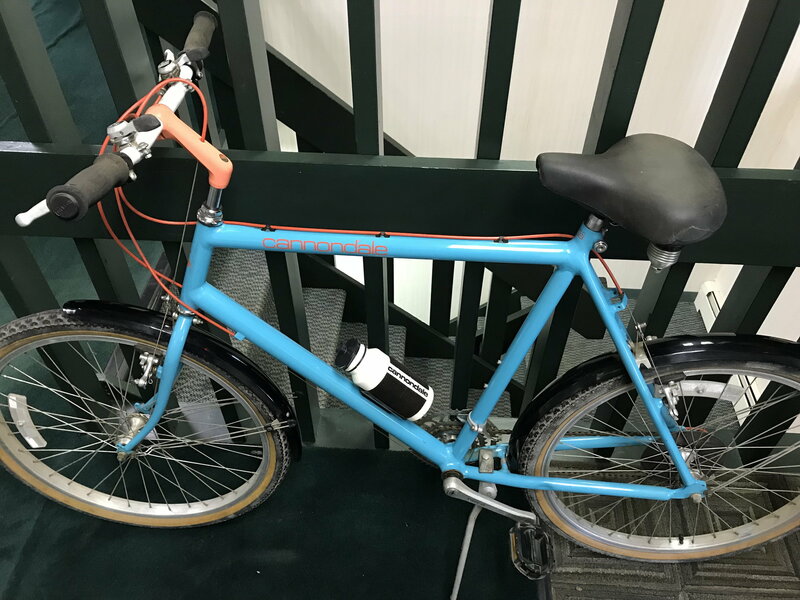 Looking to swap for a touringish bike 52-56) but I'll consider others. 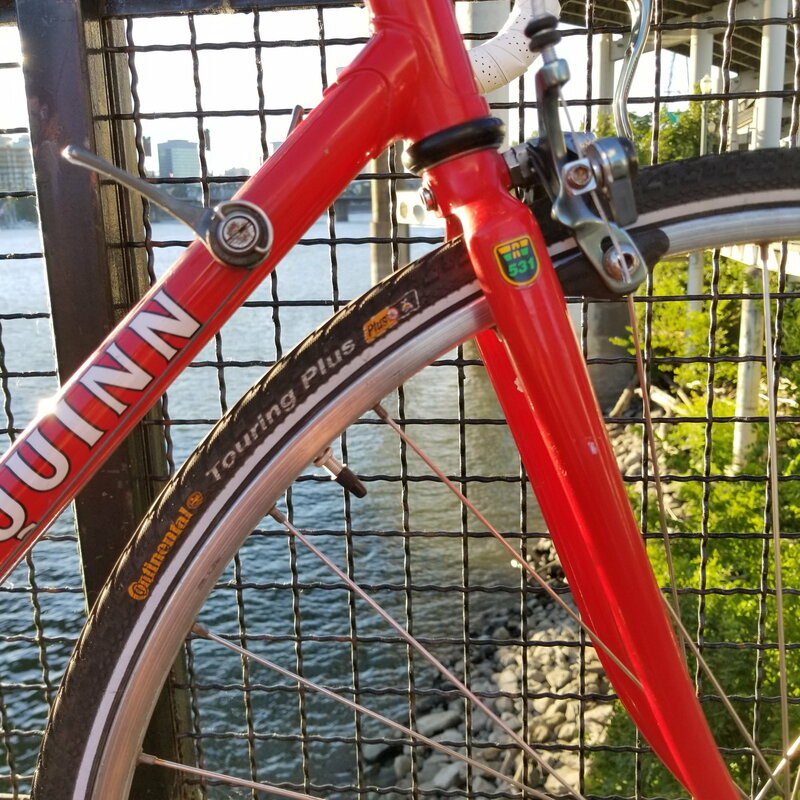 Looks like someone might have already gotten a hold of you but if not, my Dave Quinn directly above may fit your bill at 55.5 cm seatpost. It has a longer than average TT(57cm). I have a 1970s Peugot PX-10? In 63cm that does not fit me (5'10) looking to trade for something smaller 55-60cm. 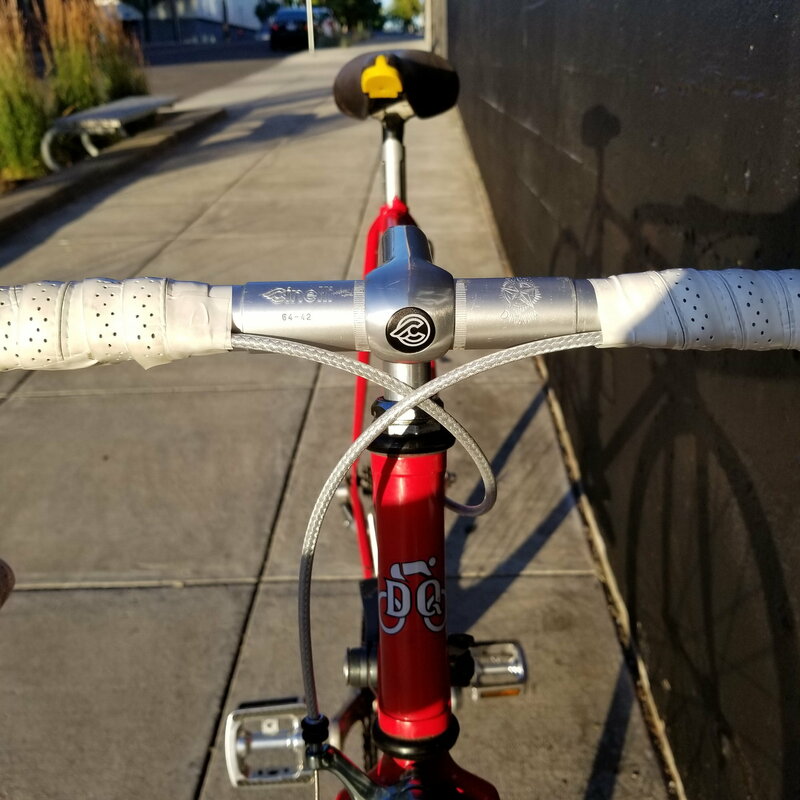 It appears to be mostly original with simplex shifters and rear derailleur, mafac brakes, stronglight cranks, and normandy hubs with mavic sewup rims. Even has a matching water bottle. 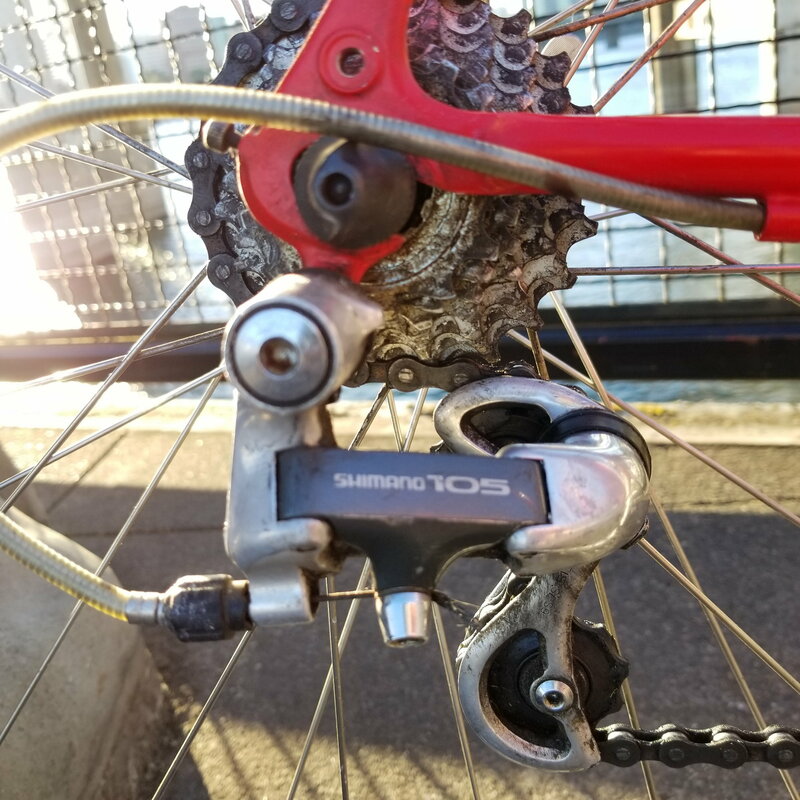 Only part that sticks out is the suntour cyclone front derailleur. 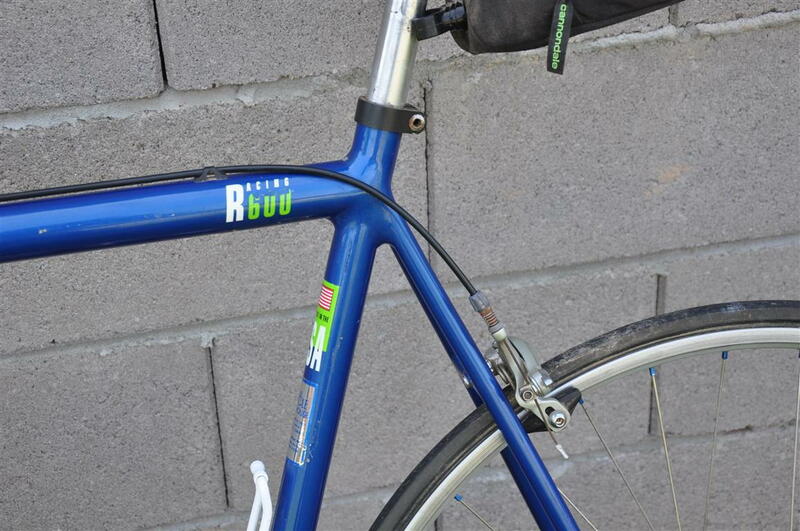 Had no dents or dings that I can see, but has some scuffs, some of which were touched up at some point on the top tube. 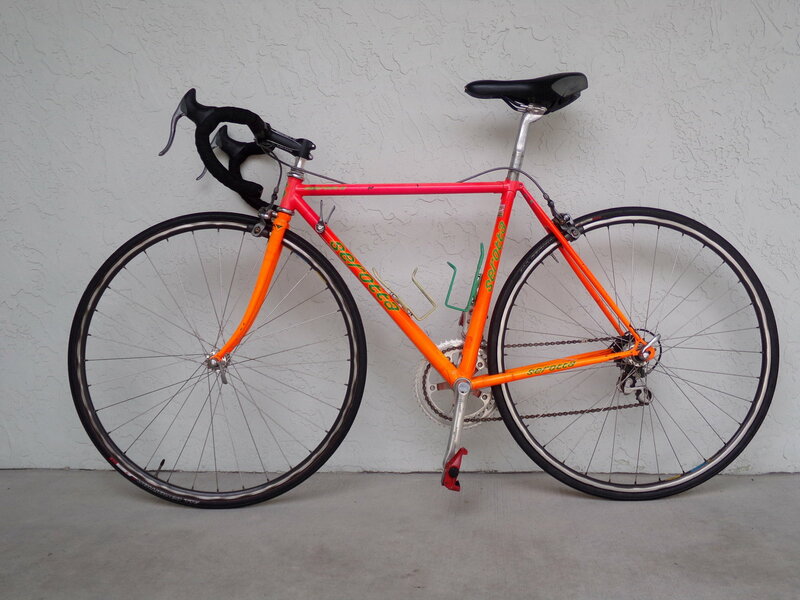 I would like to keep this bike intact, preferable trade for a whole bike unless you have a super neat-o frameset. Also, sorry for the picture quality. I'm between real phones right now. If no one has taken you up the Dave Quinn I just posted may be something you might like? Have: 56cm black 1989 Ironman frame/fork. Headset negotiable. No dents, no rust. paint is not faded, decals in excellent shape. clear coat could be more shiny. 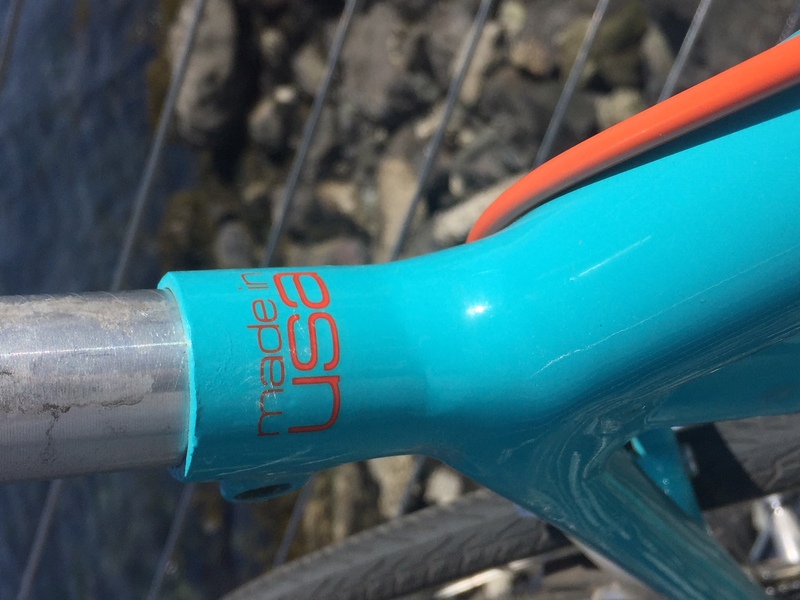 ISO: 54cm Ironman frame/fork. Headset negotiable. No dents, no rust. Paint and decals are not an issue. This will be repainted and turned into an Ironman wicked enough to be ruled an obscenity by polite company. 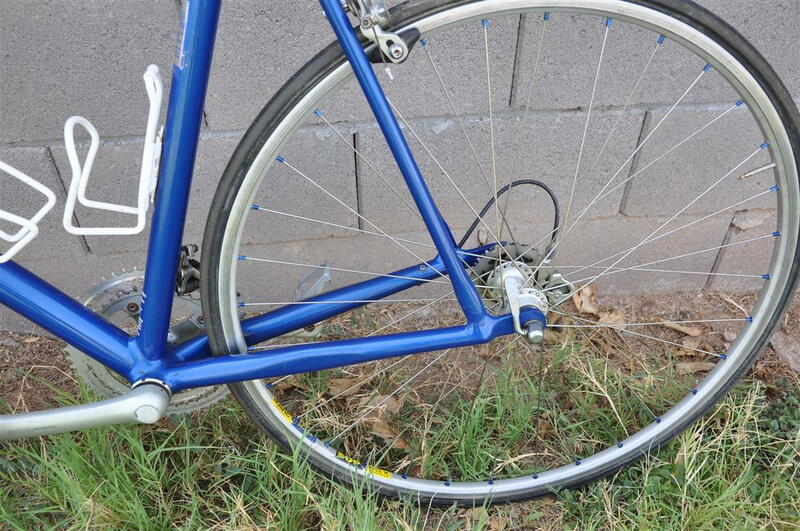 This bike is up for swap, as a frame and fork, other parts can be negotiated. Postage to be arranged, looking for something in a 58/59cm. Preferably not 531, but 'c' or 'p' would be good. Good quality Japanese (Tange superlite or Ishiwata 019 maybe?) would be interesting, we see so few of them over here. To be honest we'd rather keep this if it was the right size but it deserves to be enjoyed. More pics on the link above. 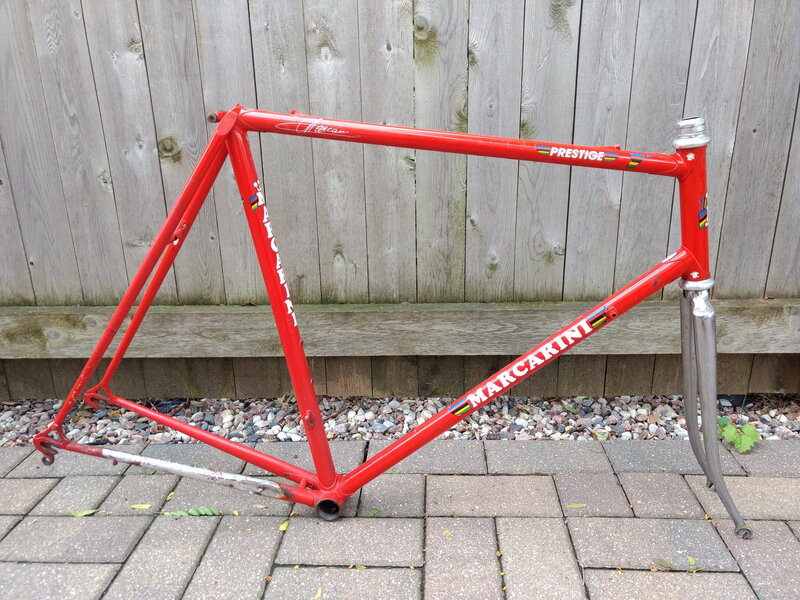 This seems unlikely to find but here is a try-- I am looking for a 52cm Miami Vice Centurion Ironman frame. Or maybe the whole bike. 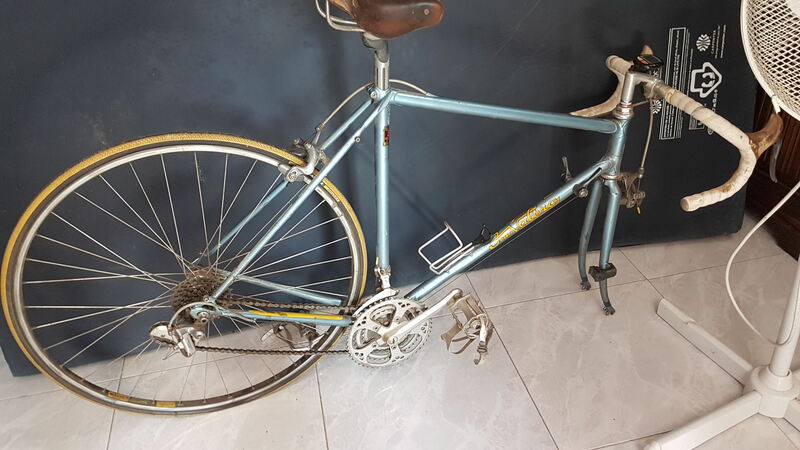 My college age daughter wants to do a sprint tri and I told her I find her cool vintage road bike. 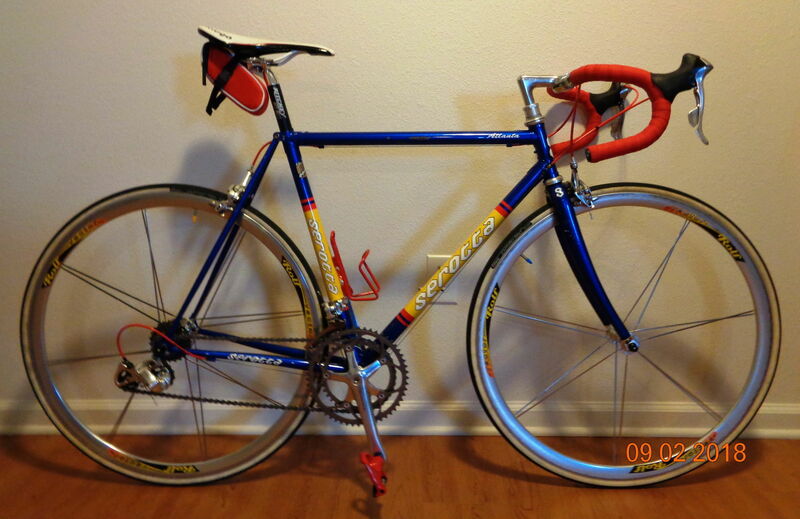 I would consider other late 80's early 90's road bikes that have the same level of awesome. 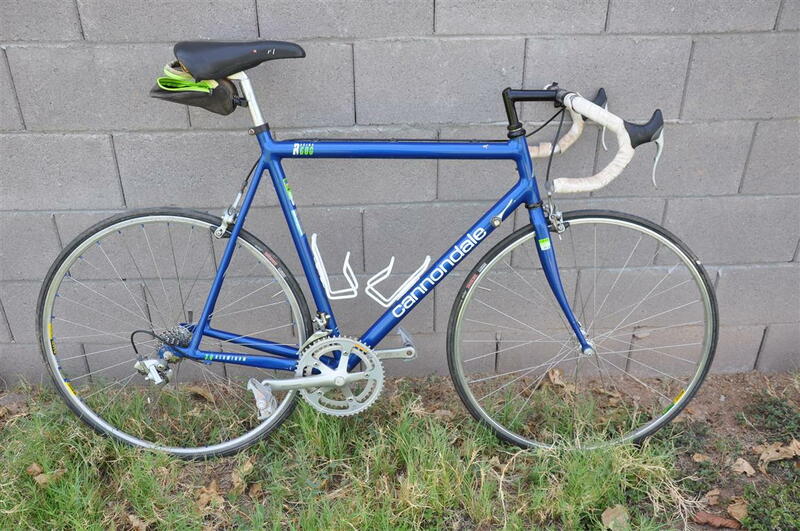 Have -- 1992 Cannondale R600 Frame/Fork headset. 56cm c-t-c top tube, 56cm c-t-c seat tube. Has a couple of chips and scrapes, but overall in good shape. It does have aftermarket shifter bosses courtesy of RobbieTunes. I would consider trading the whole bike as well. 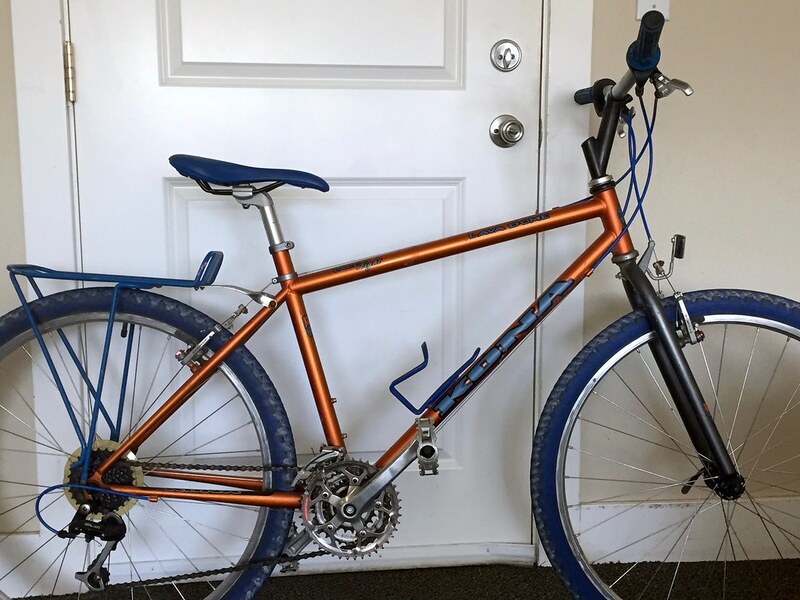 I also have a Klein Mantra mountain bike I need to get rid of. 22” frame and I’m 5’6”. That doesn’t work!! Willing to trade for similar late 80’s early 90’s in my size 18” max frame. 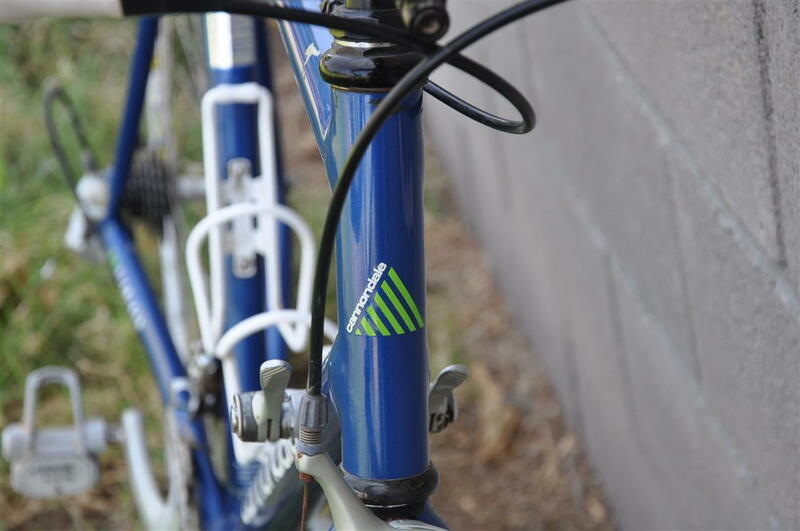 I have an extremely clean Trek Singletrack 930 from 1995, the cool purple-green fade. Sadly, it is just too small for me. Tubing is the Trek True Temper OS chromoly, chromoly stays and fork. The guy claimed that he almost never rode it over the past 20 years, and it looks like it, except for a few nicks here and there. Seat tube is 18 inches and top tube is 58 cm or 22.8 inches. 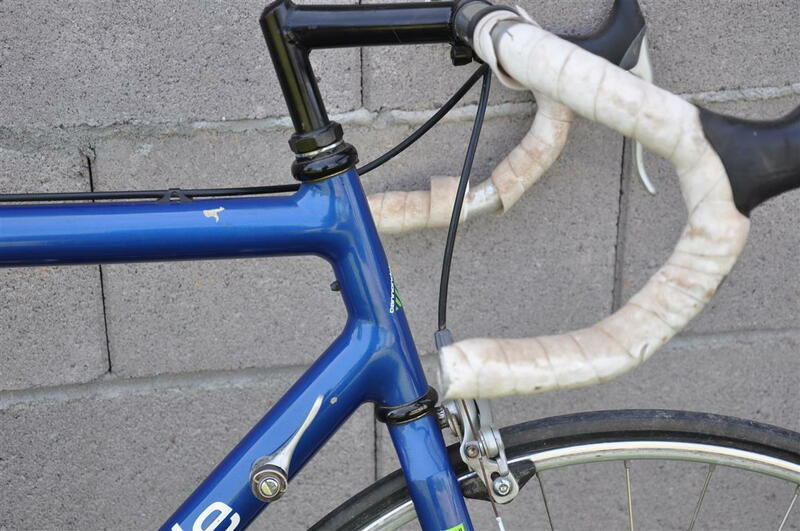 I'd be willing to swap the frame or the whole bike, which has STX derailleurs, and so on. 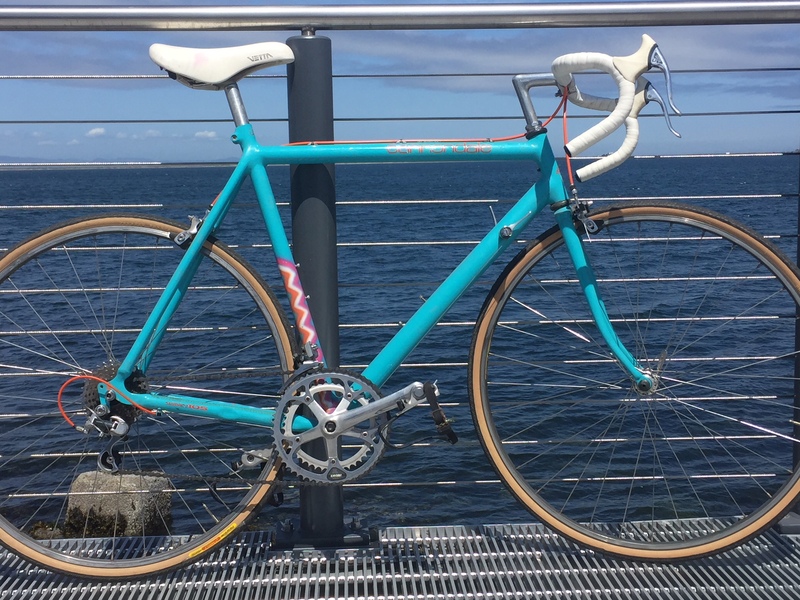 I'm looking for either a larger steel MTB, touring or cyclocross bike that I could use for either riding gravel or touring, preferably with a longer seat tube (between 50-55 cm for MTB, or 56-59 cm for touring or cyclocross) and a not particularly long top tube (almost square). I know this post is old but do you still have it? 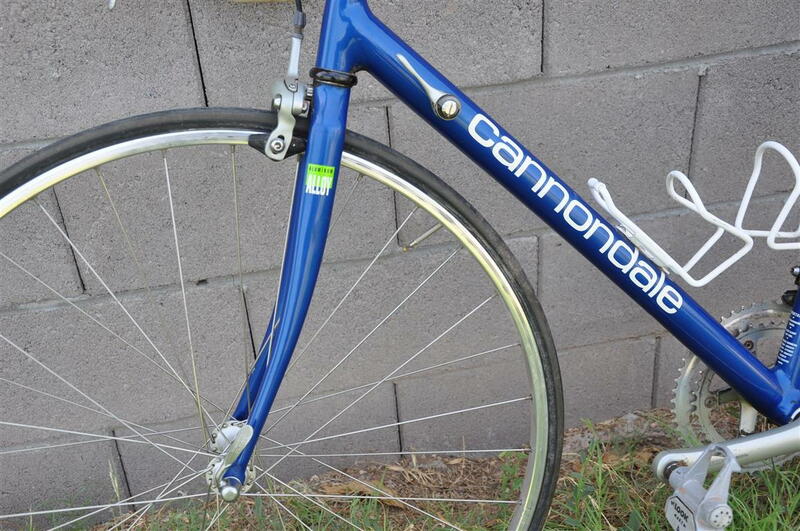 I have an 87 Cannondale 22" that is near mint. Here's the actual bike I was offering a few post above, built up now. All catalog-spec now, except for pedals, which I believe are coming soon. * A very stiff and efficient bike, to be sure. But too small for me. Going to put in on the local CL, but if you have an interesting 60-62cm frame for trade, let me know. *Also, the freewheel is a 14-32 instead of the original one which only goes up to 24 on the big cog. I can swap that one back in for originality, if desired. I just picked up your bikes cousin!! Too big for me looking for a home..
And I have an 18" Kona Lava Dome. Great bike, in great shape; just too small for me. I'd be happy to swap frame/fork/headset/BB/seatpost or whole-bike-minus-wheelset. It has 7speed Shimano STX + SRAM Grip Shifts (the good ones). I can take lots more detail shots if interested. In the photo, it's set up as a loaner to a lady friend, she is exactly 5'6"
Last edited by Lascauxcaveman; 08-01-18 at 05:10 PM. listing with anyone you may know it deserves a good home!! 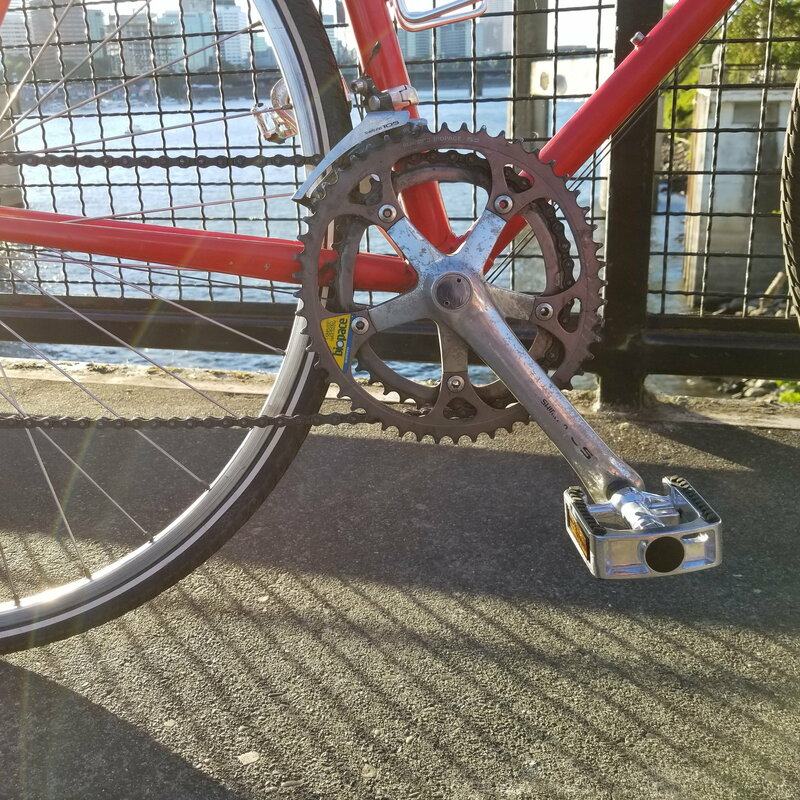 Not really sure if this is how this thread is supposed to work but I'm looking for a commuter/beater that fits me better than the one I currently have. 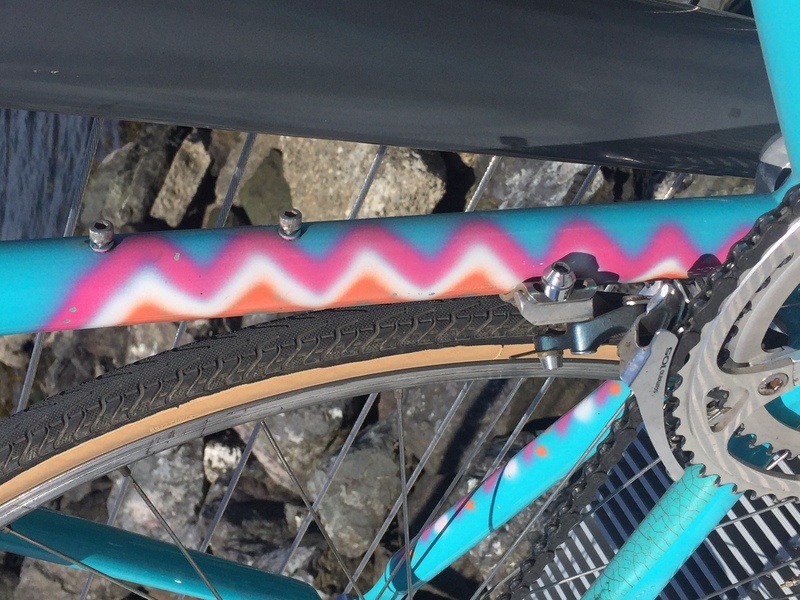 I'm on the hunt for a 55-56 cm c-t-c on the seat tube bike. I don't care much about the looks or the components as I'll be putting in my own shifters/derailleurs etc. 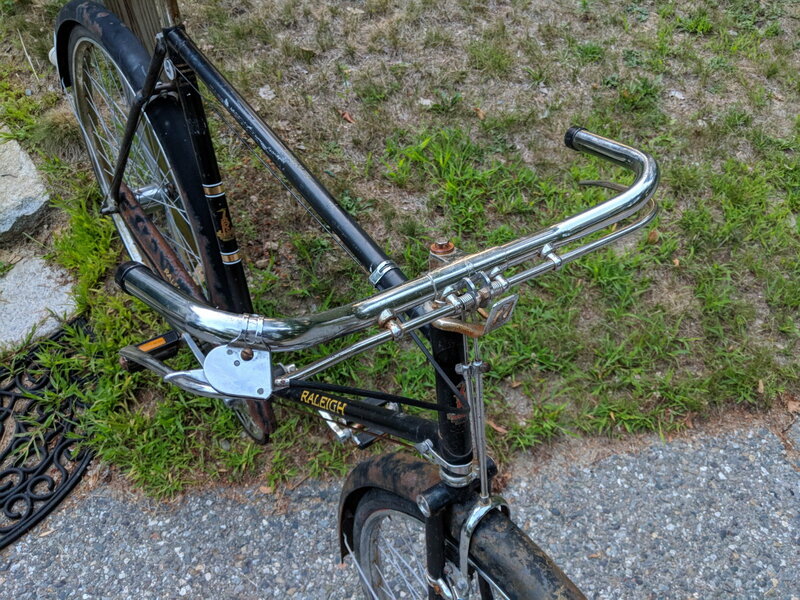 My main concern is that it has rack/fender eyelets, is not super heavy (my current one is one that is put together using a 70s probably high tensile steel department store road bike, really heavy) and preferably has downtube shifter bosses. Anyone has anything? 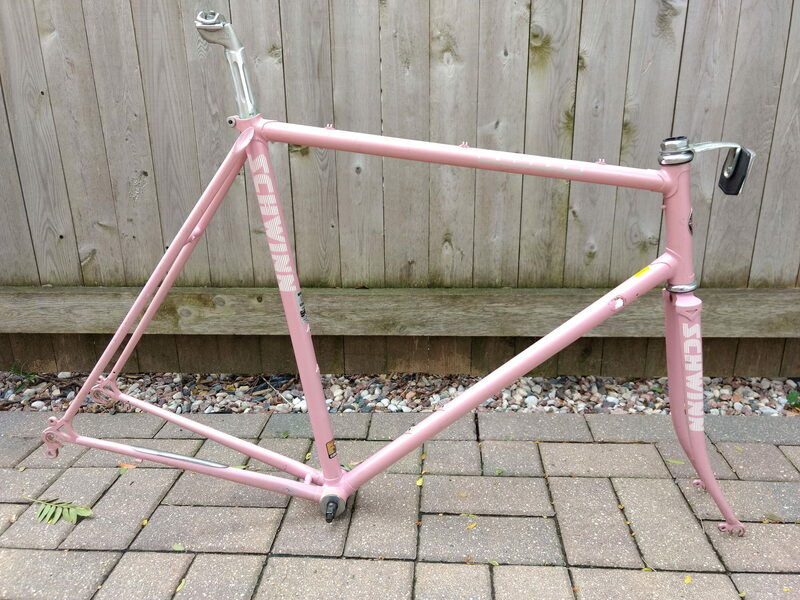 I have a Schwinn Prologue TT frame in great condition. It measures 54cm. There is no rust, no dents, no damage to it. The paint still shines. 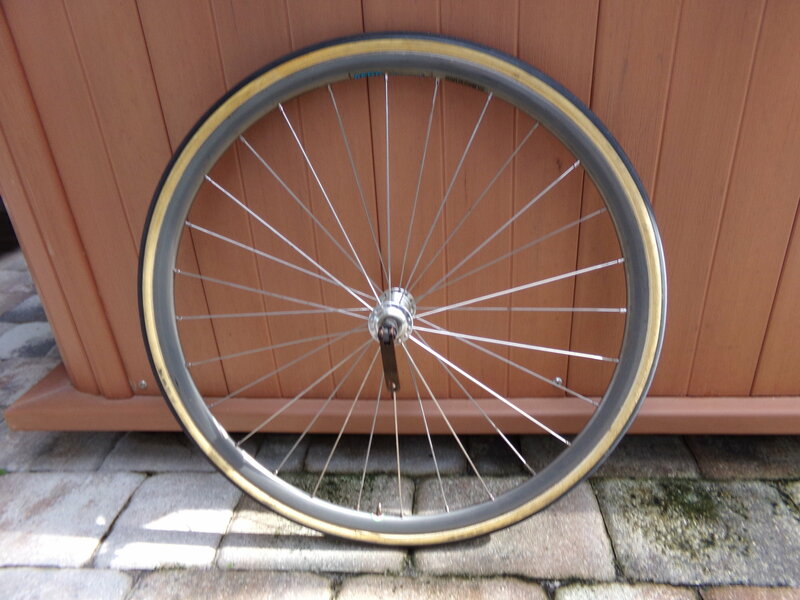 I also have the front wheel for it also, it has a Campagnolo Record hub. Looking for an interesting trade, I need a Serotta Colorado II frame if someone has one . I have several pictures of every corner of this frame if you need them. 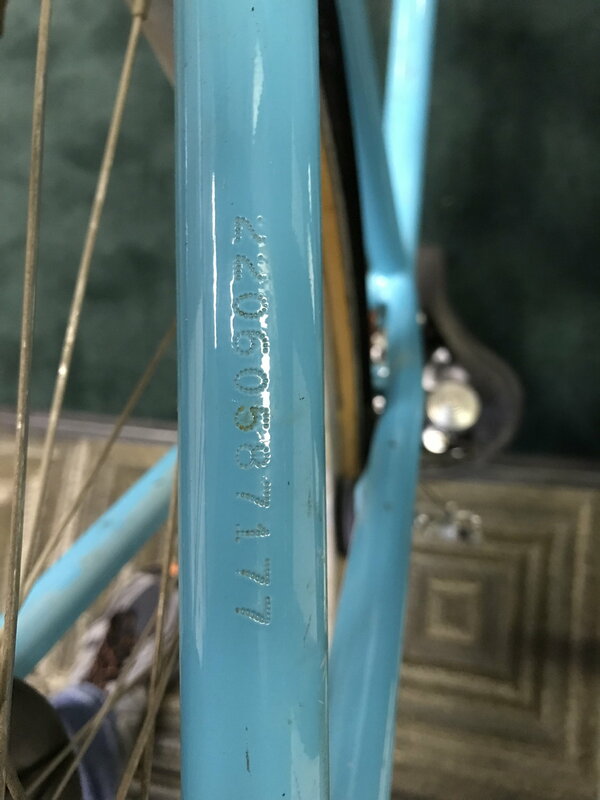 I have a Raleigh DL-1 that I believe it 1972 based on the hub date. Fits me fine, but it doesn't have a home in my stable. 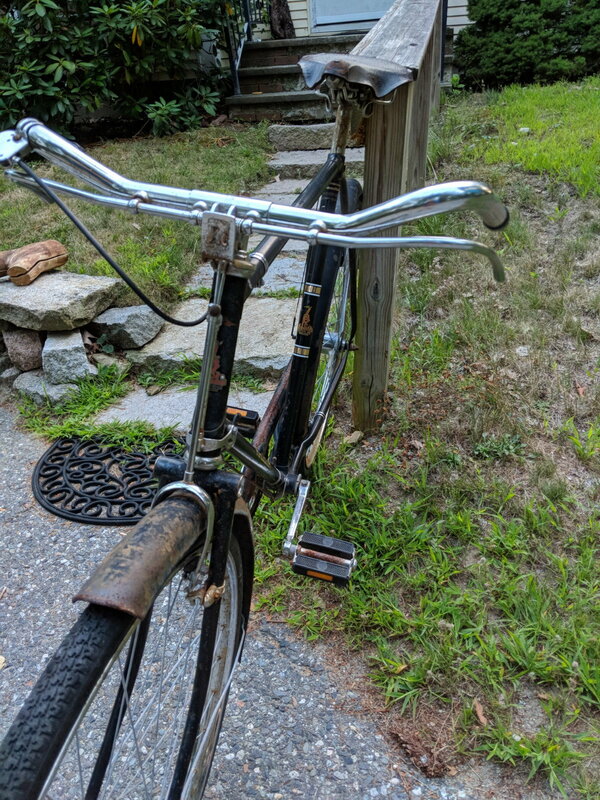 Rod brakes, original Sermperit Raleigh Roadster tires in good shape, brakes work well, Sturmey Archer AW 3-spd rear could use an oiling and lubing, Brooks B72 saddle. Overall, it has great patina and would make a good rider. chain guard and fenders are the roughest. 34" standover height. Open to trades for all kinds of stuff, ideally a large or extra large older MTB/ATB frame. 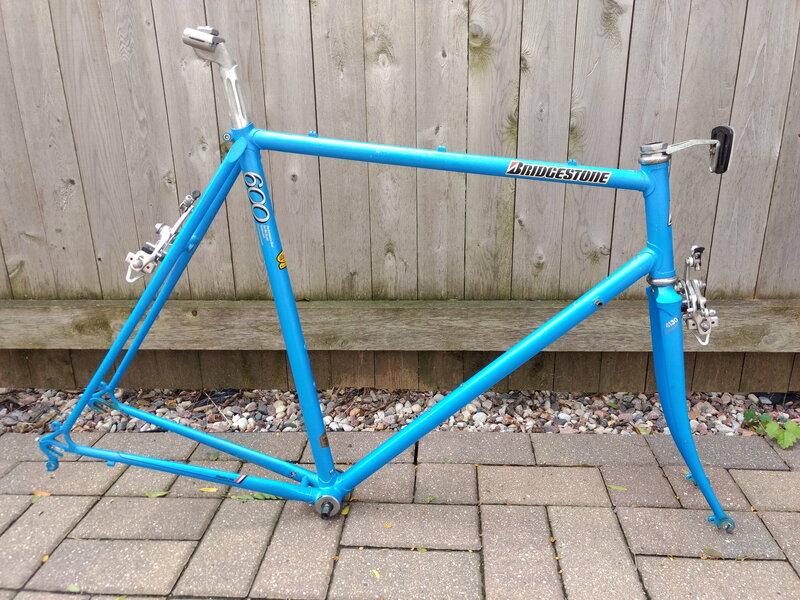 I have a silver/blue '84 Centurion Comp TA frame/fork/hs, 58cm. Average to above, with a dent on the TT. I'm looking for a comparable 54cm - 56cm. I have a Paramount P-12/13 54 cm frame from the mid 60s (1966). Frame is bare, ready for paint. One small dent in tt. 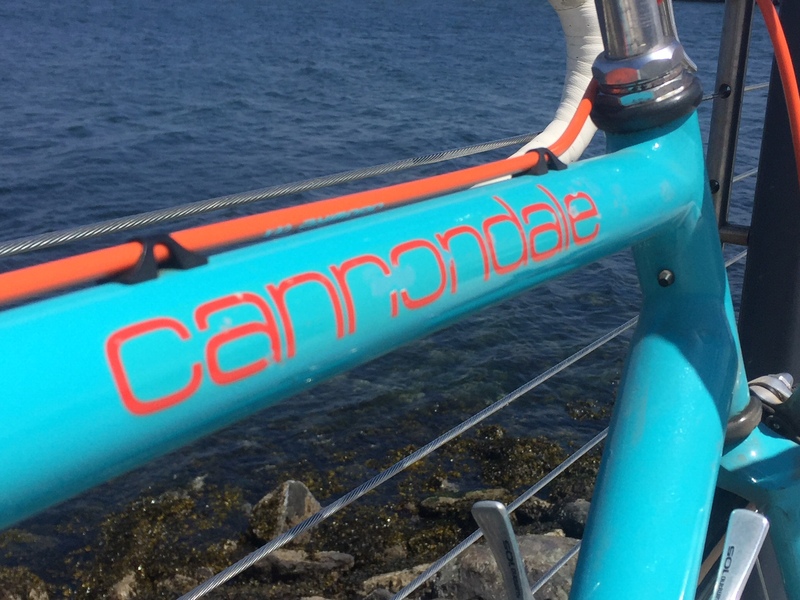 Looking for 56 cm frame to hang the nice 1st gen Campy bits on. Last edited by b dub; 08-24-18 at 07:53 AM. I am looking for a Serotta Colorado II frame 55/56cm or close. I have one now that is 48cm and is to short for me. I can purchase or trade. Below is my current frame. 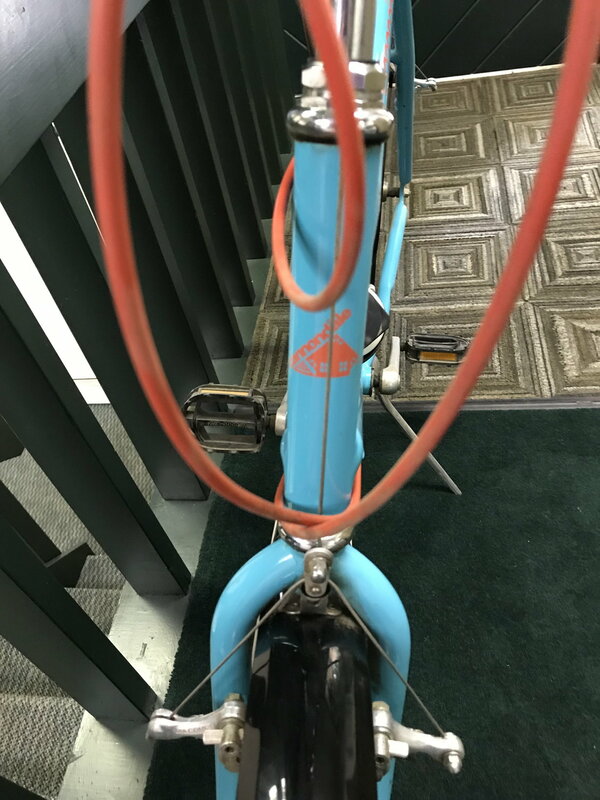 I am looking for a late 70s/early 80s 24" Trek sport touring frame. Ideally looking for Ishiwata tubing. 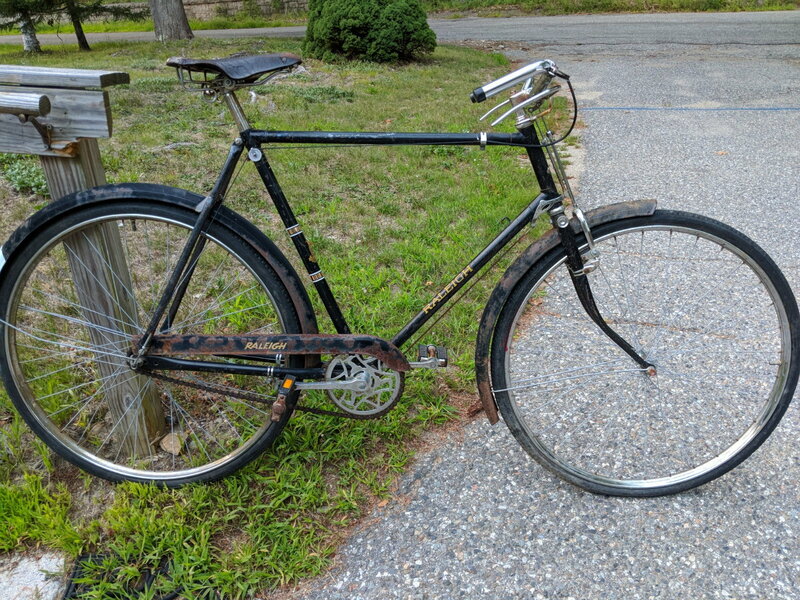 Possibly open to other similar sized (60-62) sport touring frames with rack/fender mounts and clearance for at least 28s with fenders. 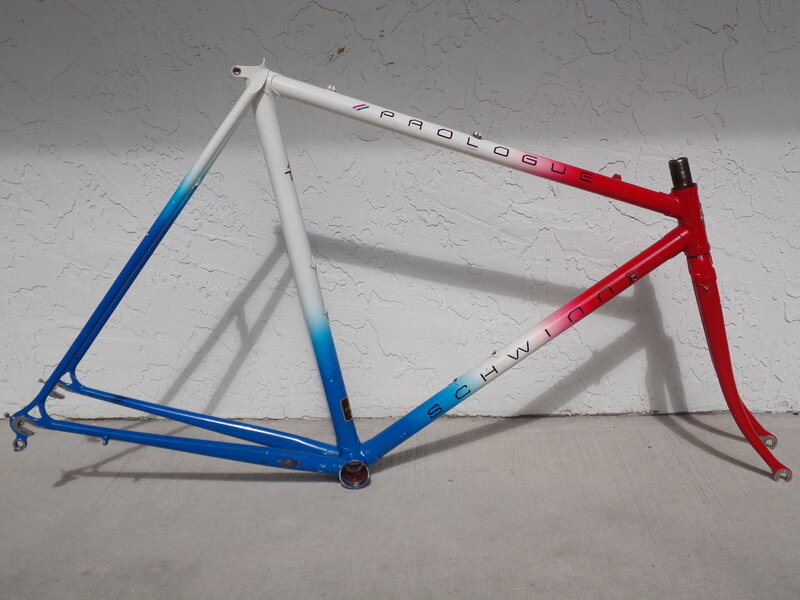 Interested in the frame and fork if you still have it. It has some wear and tear. It has a few dings in the seat tube below the FD line, and a small ding in the bottom tube near the BB. And the seat stays were mashed pretty good by an angry kickstand. The damage, however, seems to be just cosmetic, as I've built it up and rode it, and it was a wonderful ride for me (albeit too big).